What better food to go with your rice pudding and tinned fruit! Jelly has always been well received in my family. 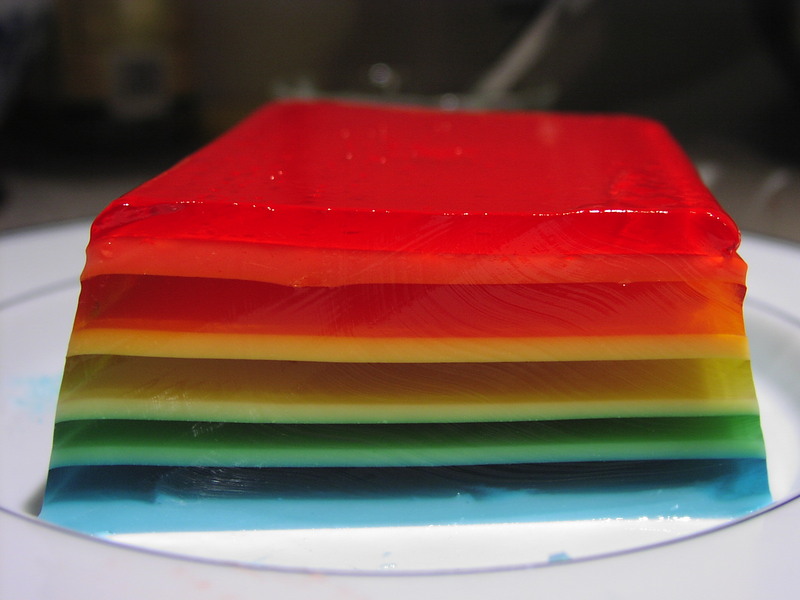 Mix tacky jelly (made with half the water) into a tin of whipped evaporated milk.